Ergot alkaloids belong to the group of compounds produced by fungi, which are referred to as secondary metabolites. They are produced by a number of fungi mainly of Claviceps spp. but they have been also found in other fungi and higher plants. Ergot (sclerotium of the pyrenomycete Claviceps purpurea) develops in florets of grasses and sedges. In early days, the medieval midwives used to collect the fungus from naturally infected plants and used it in the induction of childbirth and in the control of postpartum bleeding. The role of ergot has undergone important changes from a dreaded toxic parasite to an important source of biologically effective substances. 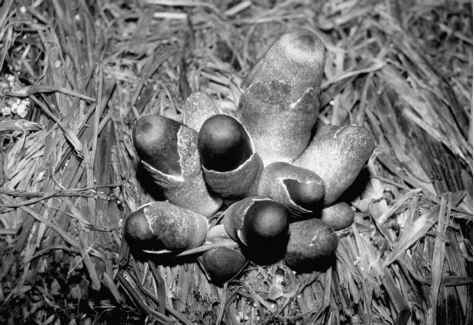 C. purpurea is, apart from yeast, the first fungus, which was biotechnologically exploited without its existence known. The beginning of modern ergot research dates back to the extraction of the first alkaloid mixture from sclerotia in 1875, isolation of ergotoxine (mixture of ergocornine, ergocristine, and ergokryptine) in 1907, and the discovery of the first clinically used compound, ergotamine in 1918. At the beginning of fifties the chemistry, biosynthesis, physiology, biochemistry, genetics, biotechnology, and therapeutical applications of ergot alkaloids have been extensively studied (Berde and Sturmer 1978; Mukherjee and Menge 2000; Rehacek and Mehta 1993; Tudzynski et al. 2001). The present review gives an overview of biotechno-logical potential of ergot alkaloids with a perspective for the future.